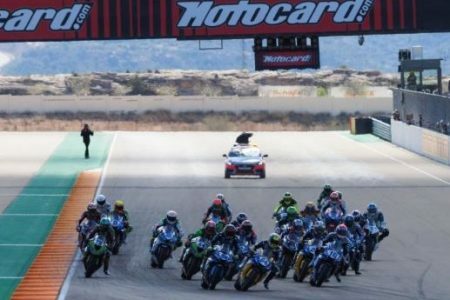 Former MotoGP rider Hector Barbera was forced to sit out the Aragon World Supersport Championship race after his bike went missing on race day. Barbera, who raced in MotoGP between 2010 and 2017, had qualified 12th but when he arrived at the race track that morning, his Yamaha had disappeared. According to Spanish sports newspaper Marca, Barbera’s Team Toth squad has reported the incident to police and believe the bike, which has not yet been found, was stolen. It adds that Barbera woke to a Whatsapp message on Sunday saying ‘the bike is not in the box’, and that efforts have been made to search the entire circuit precinct for the missing bike. The Spaniard, who lost his Moto2 ride last year due to a drink driving charge, had made an admirable start to the season with a fourth position in Australia and seventh in Thailand despite the team’s financial issues. In Aragon, his engine had reportedly passed its recommended 1500km mileage prior to the bike going missing.